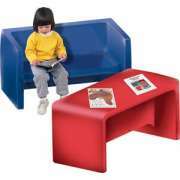 Help little ones enjoy playing, learning and exploring with creative children&apos;s furniture from Childrens Factory. Soft and colorful shapes in a variety of safe and low-maintenance designs will brighten up your classroom while facilitating fun and adventure. Let little imaginations run wild with this creative classroom furniture. Enjoy a wide selection of Certified Green innovative toddler seating from the world leader in soft play. Whether you need nap mats, sand and water tables, or some colorful room dividers, the Childrens Factory offers a wide selection of preschool and daycare furniture that toddlers and preschoolers are bound to love. 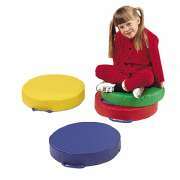 The unique seating solutions offered by Children&apos;s Factory are sized perfectly for your young students. If you like versatile seating options, try bright cube chairs, kids sofas or club chairs. All of these choices are great for a reading corner where little ones can sit down and curl up for some quiet time with a favorite book. Alternatively, your students might prefer to arrange their very own living room or playroom as part of an imaginative play scenario. When you want to have some circle time or facilitate group activities on the floor, it is important to make sure that young learners are comfortable. 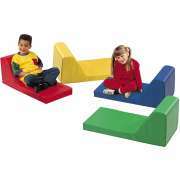 Soft floor cushions provide excellent padding and can be used to teach colors and shapes, or as part of an interactive game. If you are furnishing a daycare or other space that needs to be toddler-friendly, large floor cushions in fun animal shapes are a great choice. 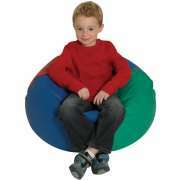 Children can climb on them or snuggle up for some quiet time. 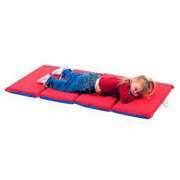 Speaking of snuggling, many preschools, especially where children stay all day, need a way to arrange a comfortable place for nap time. 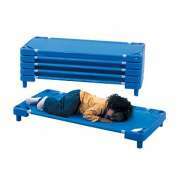 Stackable cots are one viable option for individual nap spaces. 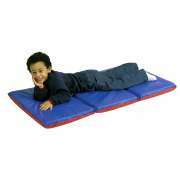 Another great choice, especially for those who are short on space, is the rest mat. 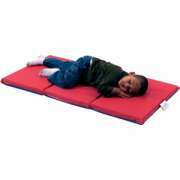 Nap mats lie flat, so they are easy to store. Their lightweight cushioning makes them simple to arrange as well. 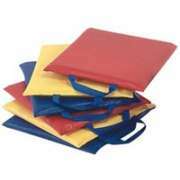 When they are not in use, mats can be folded up or stacked in a convenient mat cart. When children are well-rested, they will have plenty of energy for all of the fun activities that are taking place in your learning space. Many early childhood classrooms are arranged by learning centers, so students can choose which activities they would like to take part in. With lots of different areas in the room, it is helpful to have an easy way of separating the large space into smaller sections. 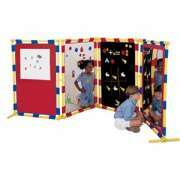 Children&apos;s Factory play panels are just right for a preschool or daycare. Unlike regular room dividers, they add some extra fun and color to a space. Once the room has been split up, it&apos;s time to choose what will go in each section. 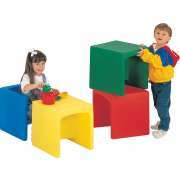 Building blocks are a must have for any space where young children are playing. 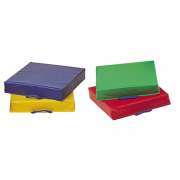 This classic toy helps children develop important skills such as balance and spacial relations. Soft blocks offer the educational benefits of hard ones, but are safer. Books are another critical component of a learning space, even before children can read or identify letters themselves. Having book displays that are on eye-level is important so little ones can see the covers and choose reading materials independently. With clear pockets, children can identify old favorites or new interests. Sensory tables are always great to have. With a sand and water table, the possibilities are endless. Teachers can fill the tubs with different materials each day to keep students&apos; curiosity piqued. Sensory tables help young children develop fine and gross motor skills as they explore and manipulate various materials. 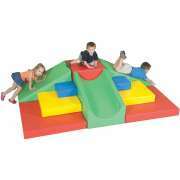 In addition to manufacturing many classic preschool furniture favorites, Children&apos;s Factory has an unrivaled selection of original soft play equipment. 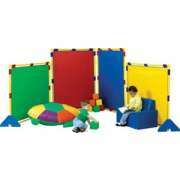 Toddlers and preschoolers will just love climbing, sliding and building with large, colorful, foam-filled shapes. 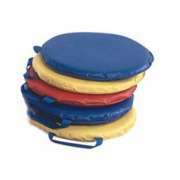 Soft cushioning enables children to develop balance and muscle mass in a safe and independent way. 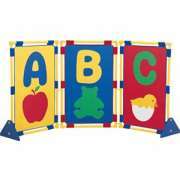 There are also many items that are especially useful in a daycare center. 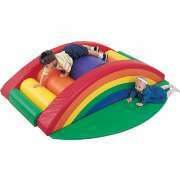 Play yards are ideal for toddlers who are not quite steady on their feet. Soft cushioned sides and padded bottoms enable beginning walkers and crawlers to move around independently without fear of trips and falls. With a large play area inside, caregivers can feel free to let a few children enjoy the space together or even climb in themselves to play with their young charges. Changing tables are a necessary item in a setting where not all children are toilet-trained. A mobile changing table is super convenient because it can be moved into the most comfortable position for caregivers or to a location where it is needed. With compartments for storing diapers, wipes and creams, and a padded mat for children&apos;s comfort, both babies and caregivers get everything they need to promote the most comfortable experience. Keeping a preschool or daycare neat requires organization and lots of storage solutions. Storage bin units that are easy for children to reach are great because they enable little ones to take initiative when cleaning up. They can be used to store toys, or even as personal preschool cubbies. No matter how you choose to use your storage bins, preschool storage will make everyone&apos;s day run smoothly. 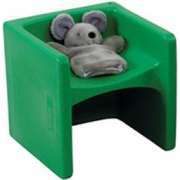 Children&apos;s Factory brings you early childhood furniture that is innovative, safe and lots of fun. With some soft and colorful cushions, riding toys, storage bins and cube chairs you can transform a regular room into a kid-friendly learning environment that your students are bound to love.